If you’re a regular visitor to the Reading Womb, we’re guessing you’re a research geek like we are, especially when it comes to studies about prenatal language learning and bonding. Part of our mission is to inform our readers about the latest and greatest new studies that reinforce the evidence that babies in the womb are an active audience, one who is listening, learning, and enjoying the sensory stimulus of the outside environment. And here’s some fresh reinforcement! Researchers at the Centre for Family Research at the University of Cambridge have been studying the relationship between prenatal bonding and infant and child well-being. The June 2018 edition of the journal Developmental Review has published the results of a meta-analysis carried out at the Centre that draws data from 14 studies—involving 1,862 mothers and fathers—to determine whether there is a link between the way parents think about their child during pregnancy and their behavior toward the baby and child later on. “Studies have shown that parent–child interaction is crucial for a child’s development and learning,” said lead researcher Dr. Sarah Foley, “so we wanted to understand if there were prenatal signs that might predict a parent’s behavior.” And once the child had been born, researchers in these studies observed the interactions between parent and child, looking for such outcomes as “sensitivity”—the ability to notice, interpret, and respond to children’s signals, for example if the baby was upset. In fact, the analysis did find that parents who were optimistic about their relationship with the coming baby, felt connected with the baby during pregnancy, and/or recognized her as a unique individual were more likely to have more positive experiences with parenting in the coming years. The results from the study showed that mothers who actively engaged with their expected child by talking, singing, and imagining activities they would do together led to a stronger attachment between mother and baby after birth. Conversely, mothers who did not connect with their baby prenatally had more difficulty bonding with their newborns. “This is a relatively new area of research,” Dr. Foley said, “but could have important implications for children’s development.” Very much so, we say! Implied in this study is its relationship with the large body of existing data that shows the impact of parental interaction—especially through talking, reading, and singing—on the language development, literacy, academic proficiency, and overall well-being of children. You might assume that this fascinating research is introducing something new: the ideas that babies learn language, develop sleep and wake patterns, and bond with family members in the last months before they are born. So you might be surprised to learn that the recent findings are actually affirming the beliefs and practices of cultures that have been interacting and bonding with babies prenatally for thousands of years. Just a few examples . . . In Hindu culture it has long been thought that a mother’s emotional well-being is deeply connected to that of her expected child. A special mantra is devoted to this purpose, and reciting it is said to put the spirit of the mother and baby at ease and promote a powerful bond between them. When a woman from the Himba tribe in Africa discovers she’s pregnant, she and the other women of the village meditate together and create the Song of the Child, a unique melody that is sung regularly to the expected child. This practice creates a sense of connection between the baby and her mother, as well as to the tribal community and Mother Earth. The Chinese have long believed that a mother’s disposition during pregnancy affects that of her child, so much so that expectant mothers are discouraged from engaging in conflict or experiencing sad events such as funerals and are encouraged to engage in positive thinking and cheerful activities. A beautiful tradition of the Navajo tribe is a Mother’s Blessing Ceremony, during which a circle of women close to the expectant mother celebrate the pregnancy by reading poems, singing songs, and sharing stories about the joys of motherhood. It is the Navajos’ belief that this ceremony will calm the new mother’s worries and get her and her baby into a joyful frame of mind before the birth day. It seems that prenatal science has been proving something over the last decade that many cultures have known for eons—that a deep connection exists between an expectant mother’s emotional, physical, and spiritual well-being and that of her baby. As an expectant mom or dad, you’ve probably had the intuitive stirrings that are sparking a desire to connect with your little one before she’s born. What if you created a modern-day version of the ancient traditions by practicing a prenatal bonding ceremony of your own? That way, you could follow your innate, natural instinct to communicate and connect with your baby by establishing a routine centered around language and love, right from the beginning. All you need to remember is the Four R’s: Rhyming, Rhythmic, Read, Regularly. 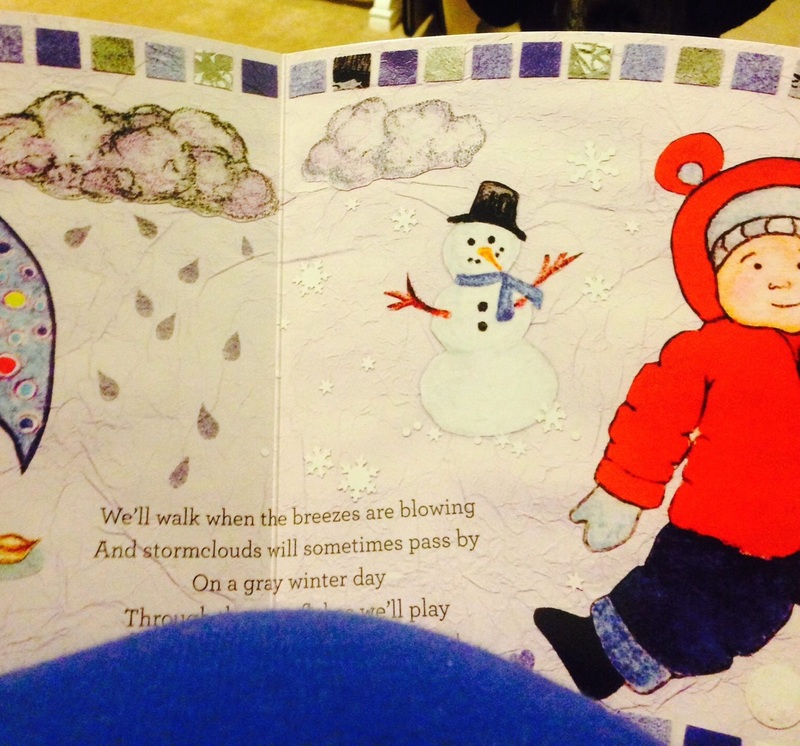 That is, a rhyming, rhythmic story read regularly during the last trimester will have all the power of the ancient ceremonies. It’s part of that deep and simple truth that was known by our ancient ancestors and is being confirmed by the cutting-edge science of today. 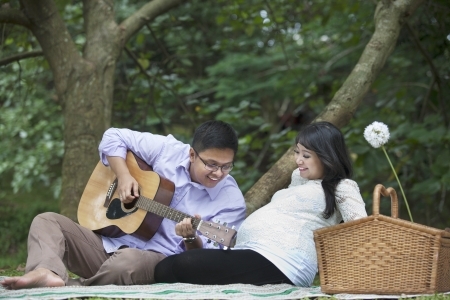 Start imagining how you will create a prenatal celebration of this precious family bond.